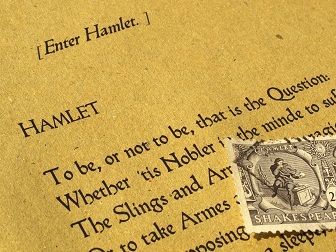 English literature is one of the most popular majors offered by colleges. Many students assume the academic discipline merely revolves around reading classic novels and books. But English literature adopts a wider approach, and studies the relationship between literature and culture, society, philosophy, history, and even communication. English literature has shaped our society and has a major impact on the development of civilizations throughout history. From changing political systems to exposing human experiences in written form, literature has helped the masses revolutionize, construct ideas, and connect with other societies. Award winning novelists and the works of famous authors speak for themselves. This field of study enables students to get a better understanding of the world around us and how it contributes to the corporate sector. English literature does not solely focus on a career-specific skill set or occupation, but rather opens up to a wide range of career possibilities. Studying English literature can, therefore, help one prepare for a variety of careers. English literature major can be pursued at post-secondary level such as undergraduate, graduate and post-graduate. These programs are designed to provide students with an understanding of English literature and composition and its role in today’s world. The duration and curriculum will vary from program to program. Students who cannot attend campus-based classes can opt for online literature courses and pursue their academic goals conveniently. This course is designed to shed light upon the diverse works in literature and introduce students to literary criticism and analysis. This course will cover major literary movements that took place from the colonial age to modern age. Students will study the works of major American authors. This course is mostly practical in nature as students will be required to focus and write on leading novelists from around the world. Students enrolled in this course will learn about the basic theories of communication. Topics such as diverse audiences, critical reading and sign language are covered in this course. In this course, students will be required to discuss and comprehend different literary works of American authors. This course is designed to help students grasp the differences between American fiction, poetry, drama, and literature. The course will also highlight the interactions between literary texts and social issues. Students will learn how to write short, argumentative, and analytic essays on various topics. The aim of the course is to help students polish their essay writing skills. This course will cover important literature of different cultures and nations across the globe. Students will study writings of popular authors that come from cultures other than American or British. In this course, students will learn how to apply quantitative and qualitative methods of research in literature. In this course, students will sharpen their creative writing skills and also study various literary works. The course will emphasize on the essence of cinema and its conceptual framework. Students will explore different theories related to this field, in-depth. This course attempts to cover the ideological content of literature. Students will gain an understanding of literary criticism. The admission requirements will vary from college to college. Students enrolling in the undergraduate programs must submit a high school diploma and standardized test scores such as SAT or ACT. On the other hand, graduate and post-graduate students will need a bachelor’s degree in the same or similar field and must also meet a minimum CGPA requirement, etc. The career options are diverse and do not limit you to a specific industry. You can look forward to a challenging, creative, and positive employment outlook with this qualification. Q:An english literature degree will qualify me for what kind of careers? A:With an English literature degree, students are given the opportunity to develop strong communication and written English skills. They can then apply these skills to the worlds of media, publishing, and other sectors. Many students graduating with this major also opt for teaching jobs or enter the media sector. Q:What skills can I learn with an english language and literature degree? A:With an English language and literature degree, you learn how to grasp complex concepts with confidence, have an imaginative appreciation of different views, analyze various views critically and reflectively, identify and apply relevant data, develop communication skills, work as part of a team, develop respect for others' ideas and arguments, work to deadlines, articulate your ideas and thoughts in an easy to understand manner and so on. Q:What can you do with an english literature degree? A:An English literature degree can help you launch a career in diverse industries. The program will equip you with strong communication skills and written skills that can are demanded in various sectors such as the following: media and journalism, teaching, advertising and marketing. You can also pursue your creative side and become a book writer or novelist, depending upon your interest. The income level will vary from job to job. Q:Can you tell me about some of the courses I will cover in an English literature and creative writing degree? A:A degree in English literature and creative writing will provide you with in-depth knowledge of English language, writing, and creative writing. The curriculum of this degree may vary slightly from place to place, but will generally include courses such as the following: poetry writing, advanced fiction writing, playwriting, communication, etc. Q:What jobs can you get with an english literature degree? Q:Tell me what the english literature course description is? A:This course is designed to provide you with literary knowledge and skills. You will study and analyze literatures from all over the world including American Literary works and European literature. The course will help build analytical skills and will give you a strong basis of literary knowledge needed for advanced level courses in the same field. Q:What are the careers after english literature degree? A:There are plenty of directions you could go into with a degree in English literature, contrary to common belief. Jobs which would be directly related to your degree would include editorial assistant, English as a foreign language teacher, lexicographer, magazine journalist, primary school teacher and writer. In addition to these options, you can also go for other jobs such as an academic librarian, information officer, records manager, public relations officer or an arts administrator. Q:Literature degree vs english degree, what's the difference? A:A literature degree differs from an English language degree mainly in terms of the coursework. A literature degree would mainly cover literary movements in the history, voices, texts and material cultures, design thinking, critical evaluation of existing literature and so on. An English degree, on the other hand, focuses on both, language and literature. This degree does not result in a specialization in either of the two, and maintains a generic coursework, with courses in both aspects. 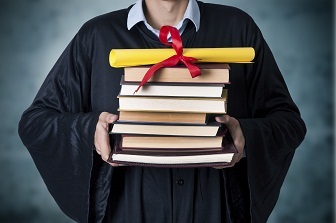 Q:What is an english literature degree? A:A literature degree is a program revolving around subjects such as literature theory, Shakespeare, playwriting, poetry writing, creative non-fiction writing and so on. The degree might also include an in depth research assignment as the thesis project in the final year. You could enroll in any of the different degree levels available, according to your prior educational qualifications. You can choose from an associate degree, a bachelor's, master's or a doctorate program.